See the latest movies here! Or host a birthday party! Looking for something special for a Birthday party? 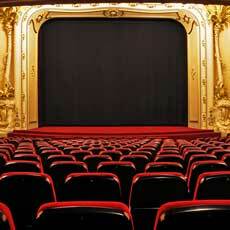 Head to the movies at a Regal Entertainment Group theatre! Make your favorite person a “Star For A Day” with their own party at the movies! Please complete all requested information below to start your party reservation! A theatre representative will respond to your request within 48 hours to finalize your party plans.